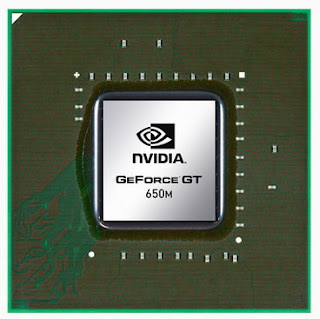 After the official release of benchmark and tests allover the web, details and specifications leaked on the world wide web regarding the next generation of mobile GPUs from Nvidia which support the new DirectX 11, PCI Express 3.0, turbo boost technology and the new FSAA algorithm. 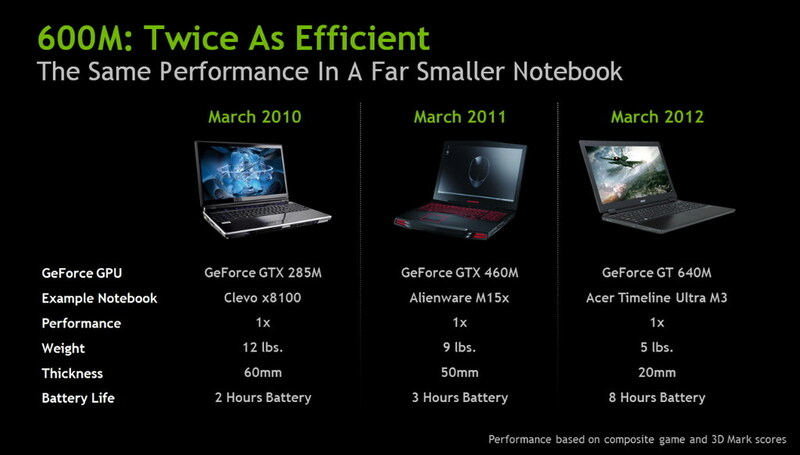 We are talking about three screen-shots appeared recently showing specifications and features of the Kepler based GPUs for mobile platforms, a table show technical information about the Nvidia Geforce GTX 660M, GTX 650M, GTX 640, and the GTX 640M LE, in addition to the power horse that bring the mobile Kepler in term of performance, the new line is characterized with an ultra thin die size down to 20mm for the GTX 640M Vs. 50mm for the previous GTX 460M, also an interesting battery life improved to last up to 8 hours compared with 3 hours for the GTX 460, thats close to three times less power hungry, yeah thanks to the new 28nm process used and the new Nvidia turbo boost technology used. The Nvidia Kepler mobile GPU is announced to be shipped, or already shipped on many big manufacturer like on the new Acer Timelibe Ultra M3, Alienware, Asus, Del, HP and more.